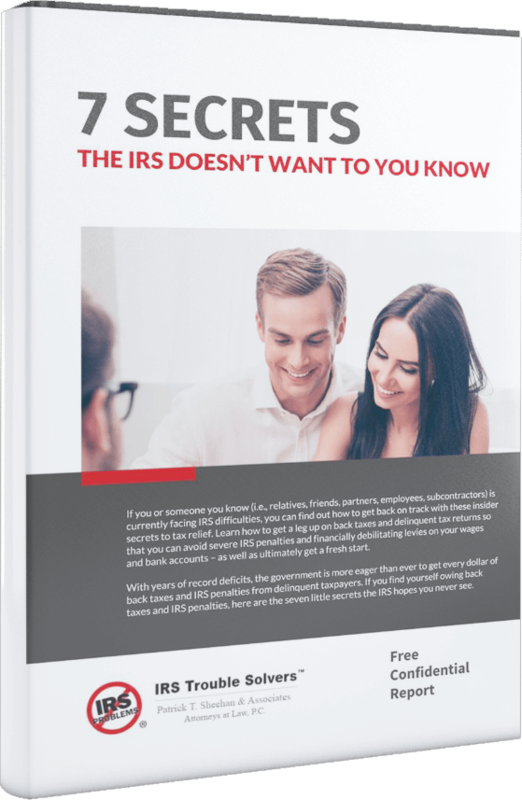 As a customer of IRS Trouble Solvers, I was very satisfied with their service and the results of their work. All of my tax returns and Illinois sales taxes were handled by IRS Trouble Solvers in a very professional manner with absolutely no problems. I would recommend their service. Our taxpayer was previously the President and sole shareholder of a business that incurred unpaid sales tax liability due to the Illinois Department of Revenue. The Illinois Department of Revenue assessed the unpaid sales tax liability (the 100% Penalty) against our taxpayer stemming from his involvement in the business. The 100% Penalty is where the Illinois Department of Revenue determines that a business owner or other responsible person should be held personally responsible for the unpaid assessed sales or withholding tax liability of a business and assesses the full amount of this liability (including penalties and interest) against the taxpayer. In this case, the Illinois Department of Revenue assessed $124,153.69 in 100% Penalty liability against our taxpayer. We successfully negotiated an installment agreement with the Illinois Department of Revenue in the amount of $100.00 per month on his behalf. Without our involvement, the Illinois Department of Revenue would have demanded much more money from our taxpayer. Our taxpayer is now free from the threat of enforced collection action.